For all those who are health conscious, it is important to keep a track of what you eat throughout the day and how many calories you consume. But how can you do that without a meal planner? A meal planner lets you plan your meals in advance. 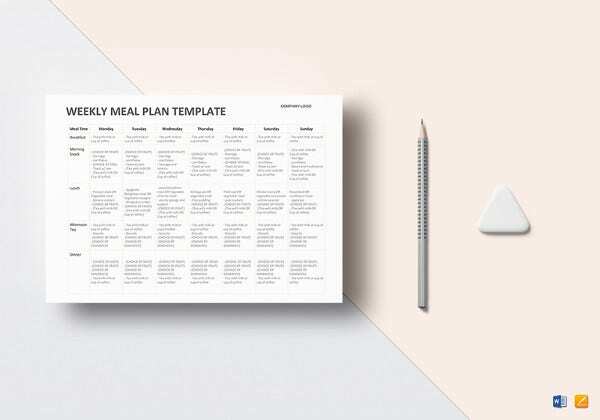 However, creating a meal planner is a tedious task that can be avoided with the help of amazing meal planner templates that are found in this section. 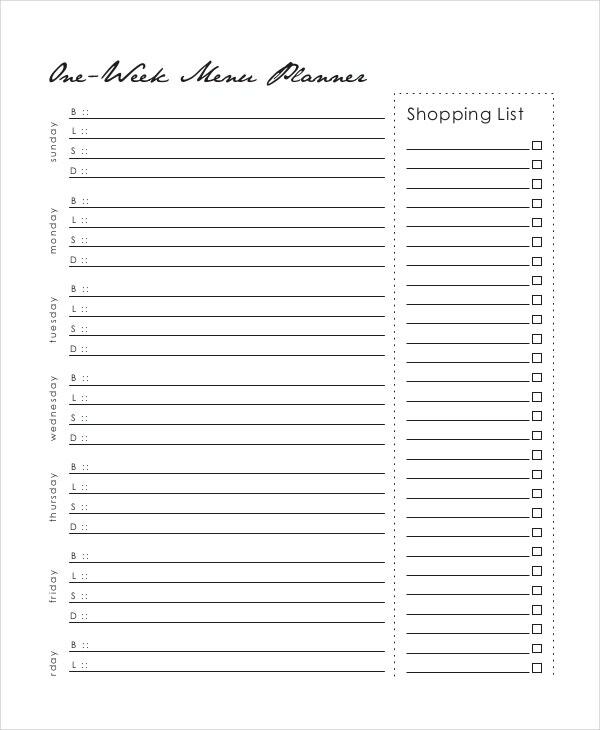 When it comes to meal planners, it is always better to go for blank templates. That way, you get to carve out your own plan and can design it in your own way. Also, it is easy to use. 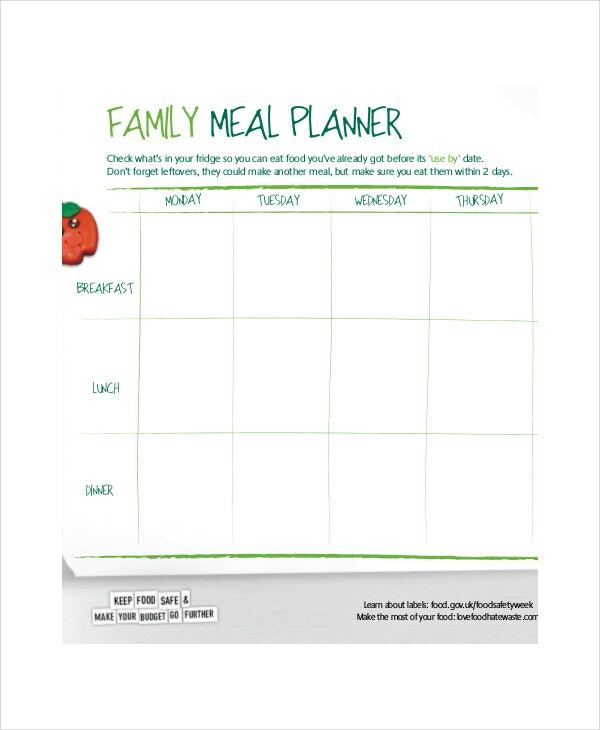 This meal planner template isn’t just for you – it takes into account the dietary requirements and the daily meals of all your family members. You can plan your meals well in advance with this. 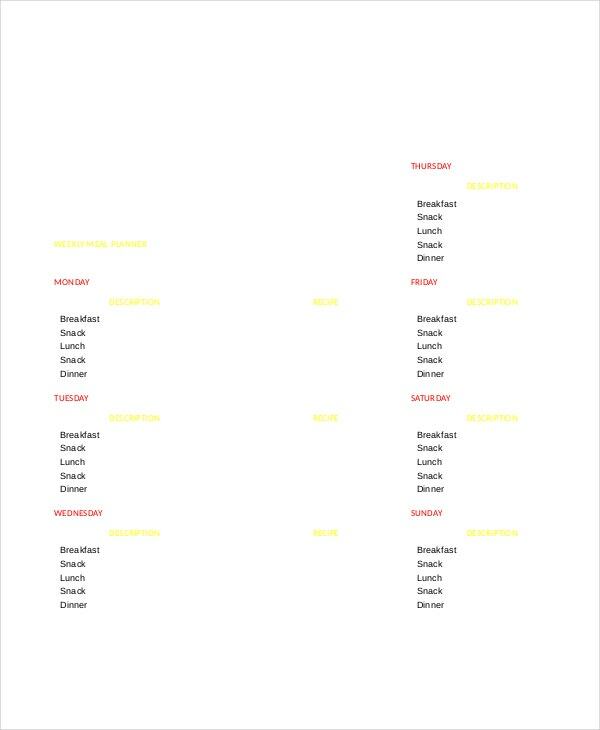 You can also see Daily Meal Planner Templates. 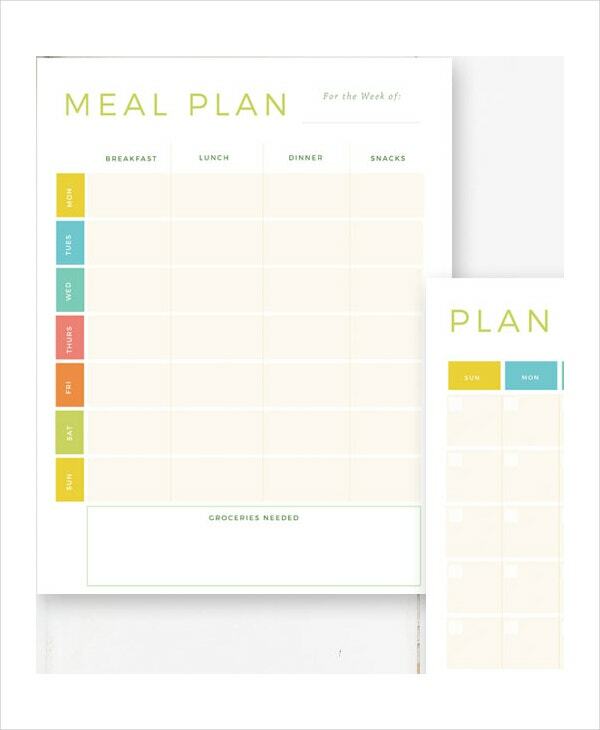 This meal planner template or meal voucher helps you plan your meals two weeks in advance. 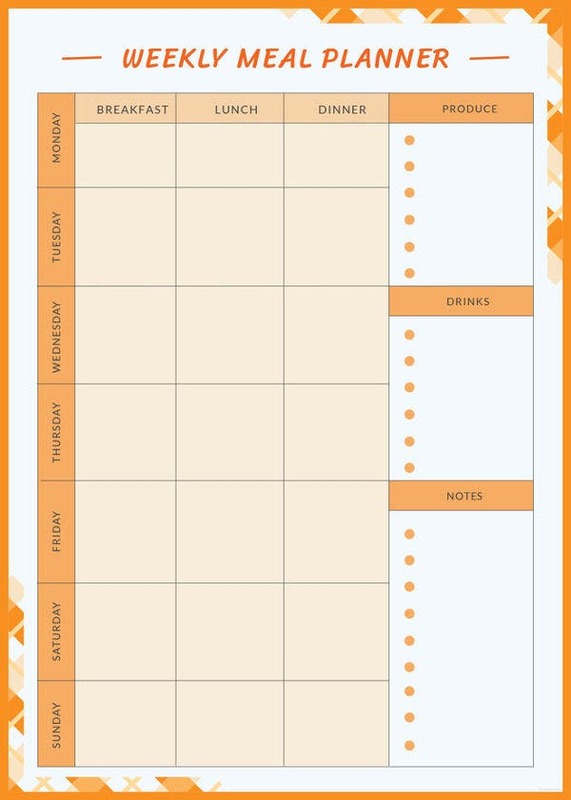 This planner template is extremely detailed and takes into account all the important aspects. 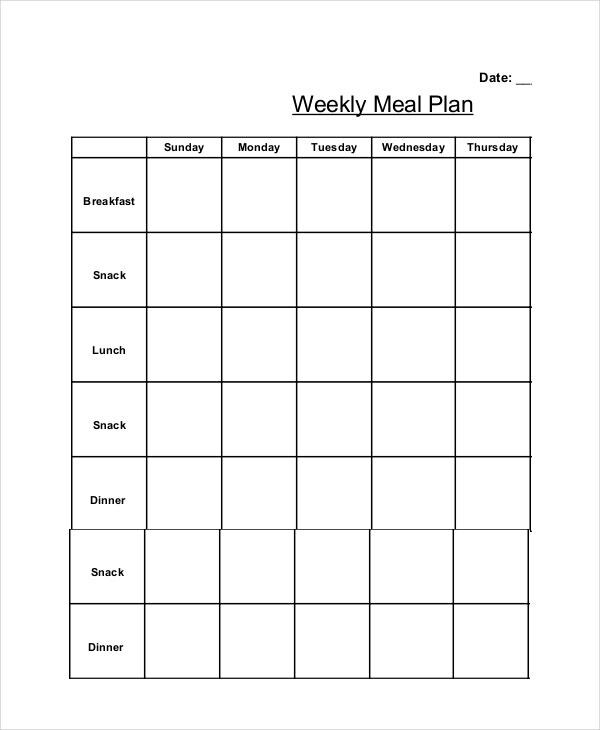 With this weekly meal planner template, you just don’t get to plan your meals – you also get to include what snacks you are planning to consume throughout the coming week. 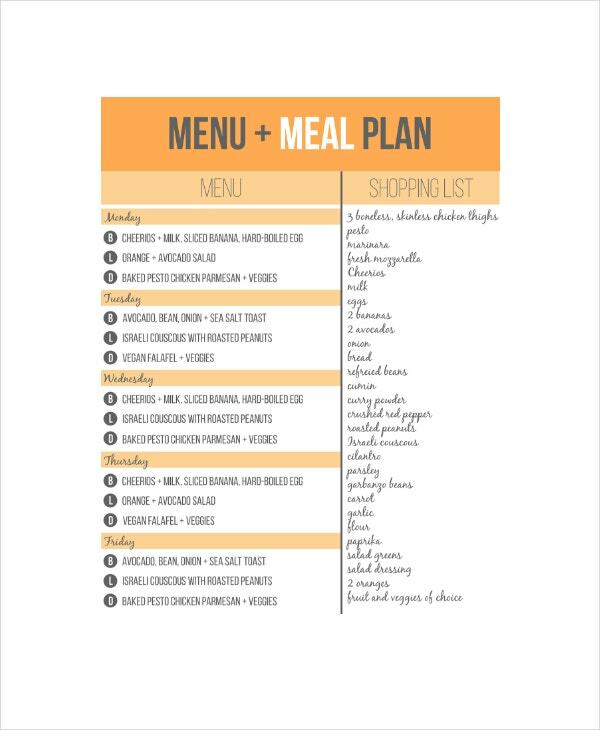 > Why use Meal Planner Templates? Are you particularly conscious about what you eat and how many calories you take in a day? Or maybe a family member has been diagnosed with disorders like diabetes or high cholesterol – both of which require a careful supervision of the daily diet. 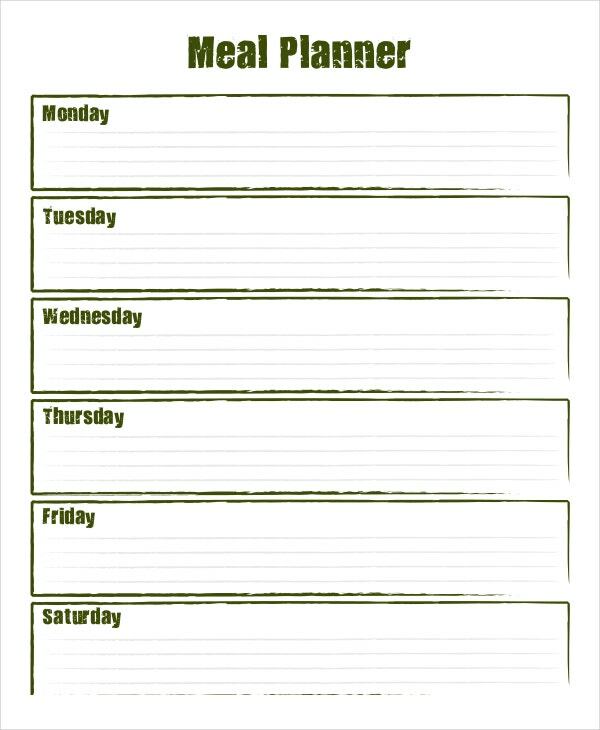 Whatever the case may be, a daily meal planner may come in handy. 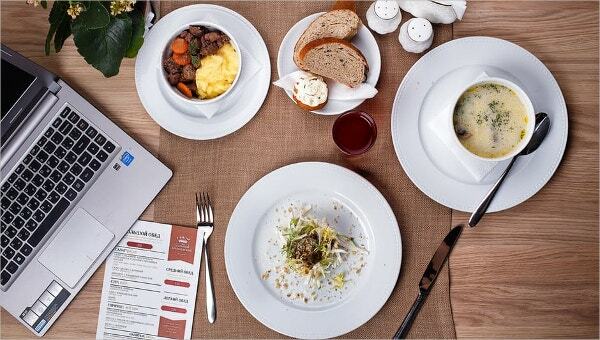 That way, you can plan your meals in advance and also avoid eating out or reduce consumption of junk food items. 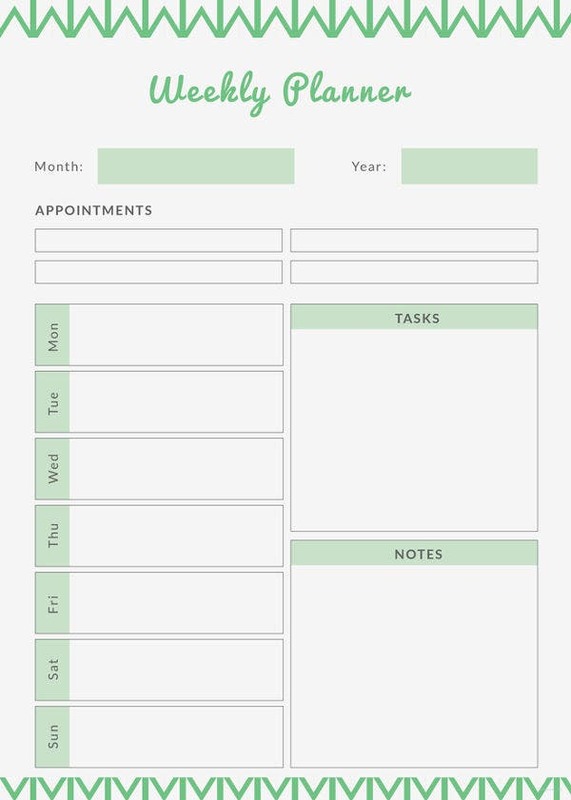 Using a meal planner template will make your job a whole lot easier for you since most of the work has already been done. You can also see Party Planning Templates. Most people shop for groceries and other items based on the meal plans that have been prepared. 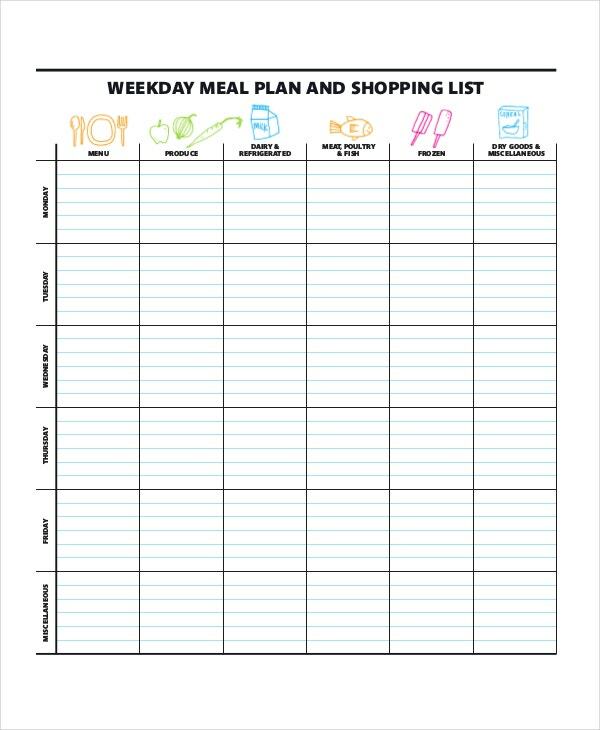 This meal planner template makes it a lot easier for you since it comes equipped with a shopping list as well. You can also see Shopping List Templates. Before you start including information into your meal planning templates, plan on a fixed diet first. 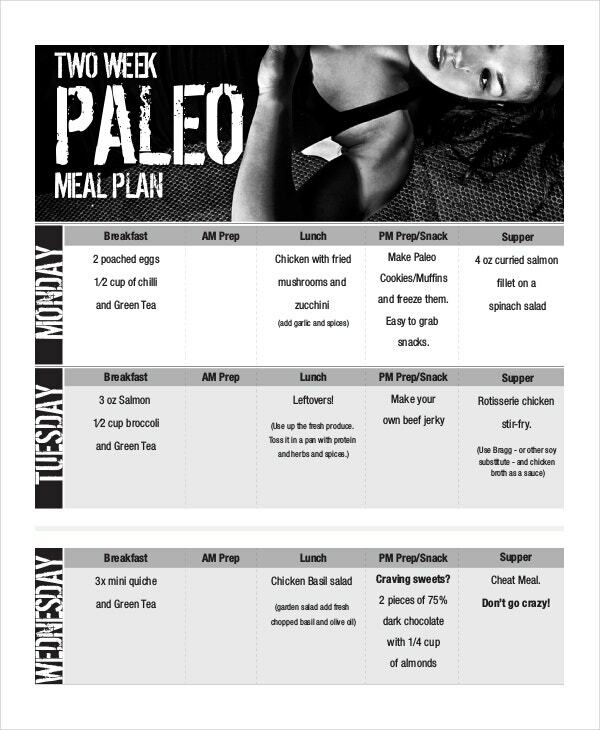 Once you have an idea of what meals you are planning to consume throughout the day, it will be easier for you. 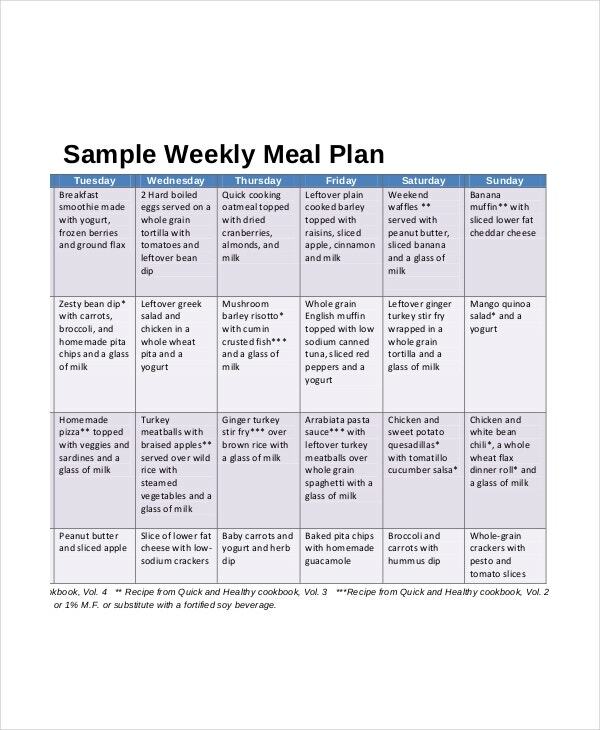 Use meal planner templates that are fully customizable. A meal planner is something that needs to be updated on a daily basis. Of course, you are going to use the same template every day to reduce the hassle. The templates should be neat and easy to follow. They shouldn’t be too complex or disorganized. 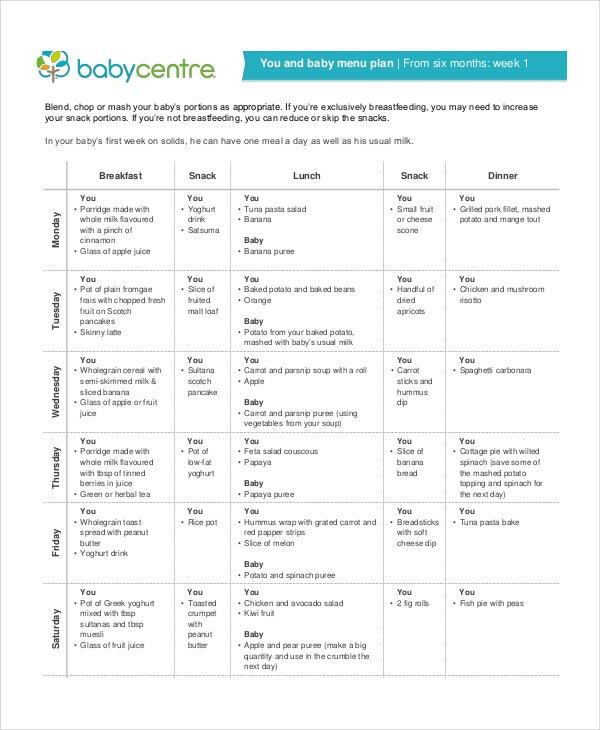 The meal planning templates would do you a whole lot of good. It would encourage you to eat healthy and would ensure that you pay attention to your diet. Also, you wouldn’t have to waste your valuable time each day designing the planner – you can just update the information and be on your way. You can also see Plan Templates.